Mission Mayor Armando O’Caña answers questions from attorney Rick Salinas on Wednesday in Master Court No. 2 at the Hidalgo County Courthouse in Edinburg. EDINBURG — The city of Mission’s June runoff election had a staggering increase in voter turnout from the May general election with 600 more votes cast. 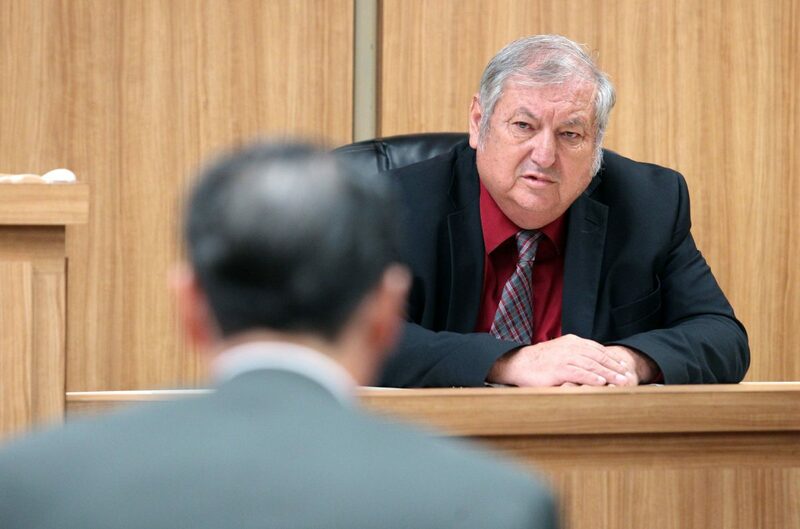 An expert witness, George Korbel, testified Wednesday that the higher turnout was an anomaly and concluded that the likeliest explanation was the widespread mail-in ballot harvesting by the Armando O’Caña campaign. Korbel, who has 38 years of experience as an election analyst, was brought by the legal team of former Mayor Norberto “Beto” Salinas, who filed the election contest against O’Caña. O’Caña initially drew fewer votes than Salinas in the May general election but came out on top in the June runoff by 157 votes. Norberto "Beto" Salinas walks across the courtroom during a break at the Mission election contest trial, challenging the results of the mayoral race, in Master Court No. 2 in the Hidalgo County Courthouse on Tuesday, Sept. 25, 2018, in Edinburg. Korbel testified it was unusual for runoffs to have higher turnout than the general election, as was the case in the Mission elections this year. He noted that since 2011, of 12 municipal elections in Hidalgo County that led to runoffs, only three had turnout that exceeded the general elections. O’Caña received the majority of the mail-in votes in the general and in the runoff election but there 136 more mail-in votes in the runoff than in the May general election. As part of his work for the Salinas team, Korbel said he reviewed affidavits, conducted interviews and examined the carrier envelopes for the mail-in ballots in the June runoff. He said the ballots from the people that he interviewed, who he believes had their votes harvested, all had the same 2018 Forever stamp that is perforated on the left and right sides. Korbel testified that stamps with perforations on the left and right sides were sold in rolls of 100 stamps. Of the 689 total mail-in ballots cast in the runoff, Korbel said 322 ballots were mailed with the Forever stamp with perforations on the left and right sides. There were an additional 35 ballots with the Forever stamp that did not have the perforations. Those 35, Korbel said, he believes came from a book instead of a roll. Korbel theorized that voters would not have purchased rolls of 100 stamps, worth $50, and believes ballots mailed with the perforated stamps were mailed by vote harvesters and not the voters themselves. He concluded there may have been as many as 303 votes that were harvested, well over O’Caña’s margin of victory. He also looked at the votes associated with a white van which a witness previously testified had been rented to Veronica O’Caña, the niece and campaign manager for Armando O’Caña. Over the course of the trial, voters testified being driven in that white van to polling locations where, some alleged, they were illegally assisted. Korbel said there were about 124 votes tied to the white van. Gilberto Hinojosa, the attorney representing O’Caña, strongly objected to Korbel’s testimony, arguing that he didn’t have the expertise to testify about vote harvesting and shouldn’t be able to assume there could be 303 votes harvested. The judge seemed to agree but asked Korbel to explain the basis for the assumption. Korbel reiterated that from interviews, affidavits, or testimony in court he found 20 to 24 people who he was confident had their votes harvested and had the same perforated Forever stamp. From that he concluded there could have been as many as 303. Hinojosa had argued strongly against allowing Korbel to testify, arguing he did not have expertise on vote harvesting. Korbel previously worked for the Mexican American Legal Defense and Educational Fund and was involved in cases pertaining to gerrymandering and the Texas voter ID law. He also worked two election contests — one in Crockett County where votes cast by minorities were not counted and one in Del Rio where about 800 federal mail-in ballots that were dumped in the election, more than had ever been received before. Hinojosa argued that none of his expertise used in those cases was being utilized in the Mission case. Korbel, however, said that the Mission election contest was a very unique case and had never seen anything like it. Judge J. Bonner Dorsey, however, noted there was no jury in the case that could possibly be misled by his testimony. “Since I’m the guy that’s going to determine, I’m going to certify him as an expert and I’ll see what his opinion is and see if I give it any bearing at all,” the judge said. 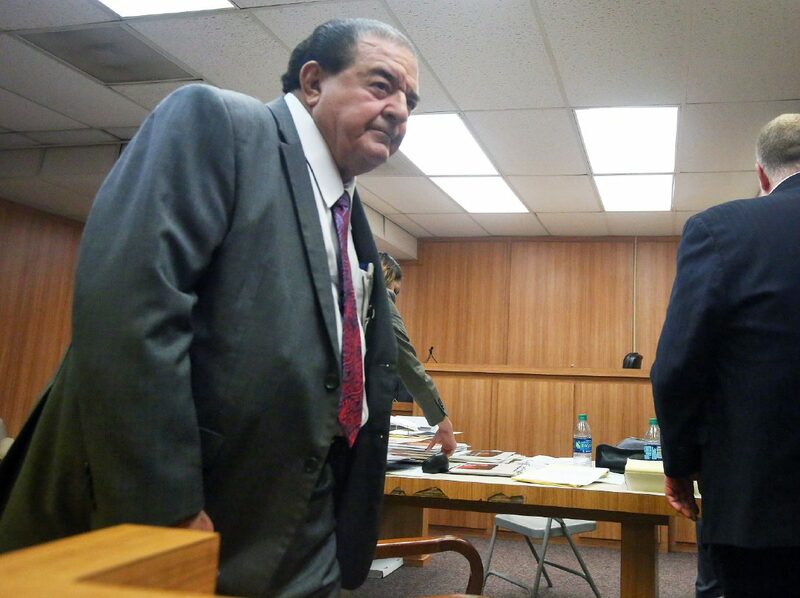 Hinojosa will have the opportunity to cross-examine Korbel Thursday. The proceedings are scheduled to resume at 9 a.m.